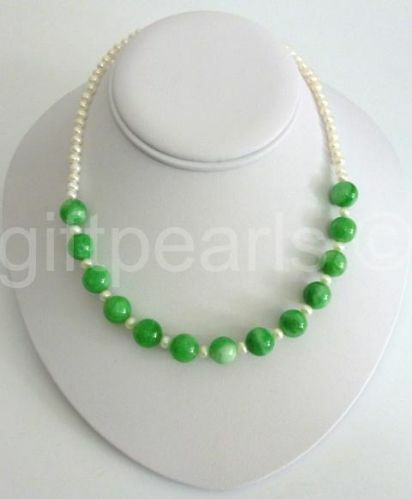 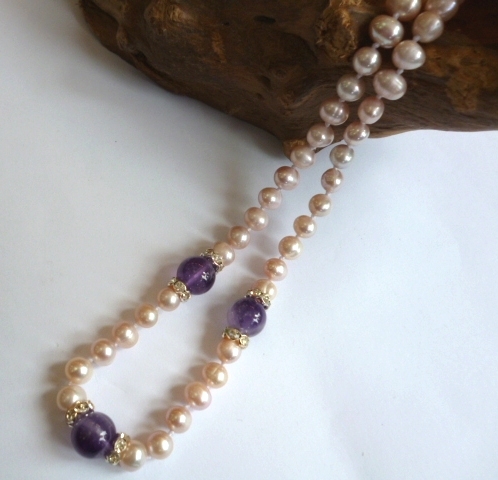 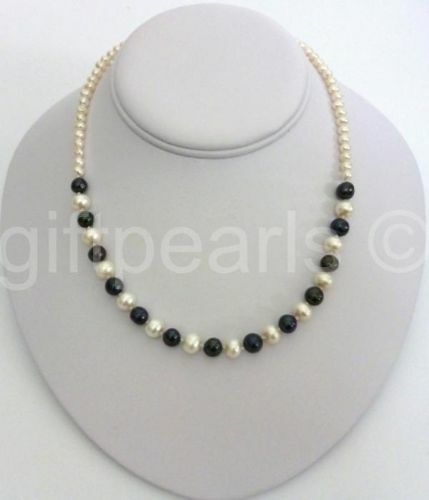 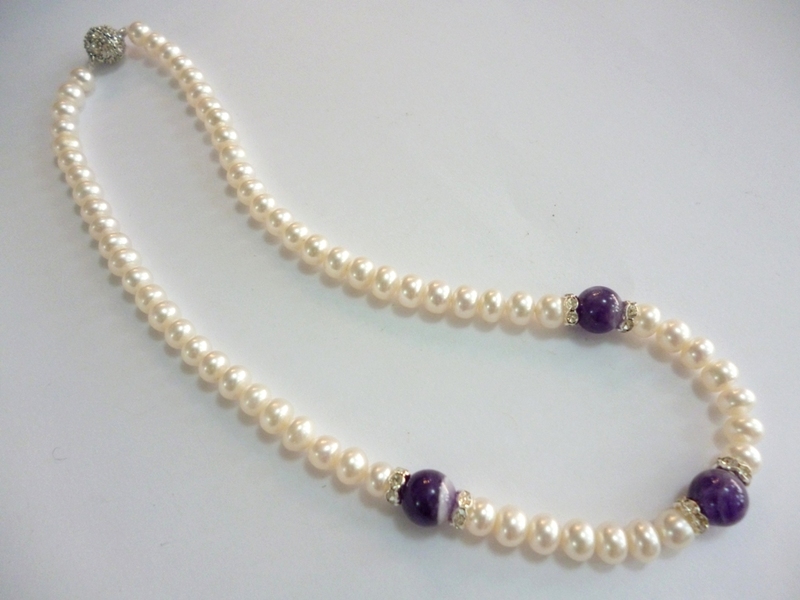 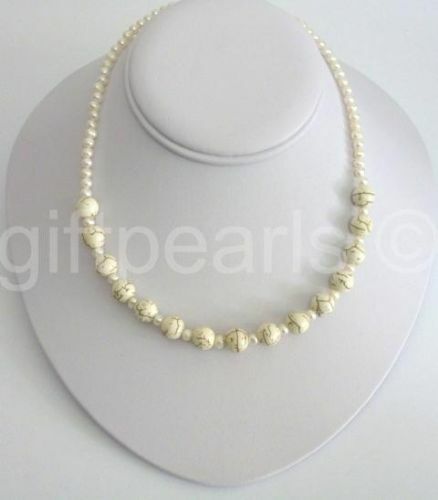 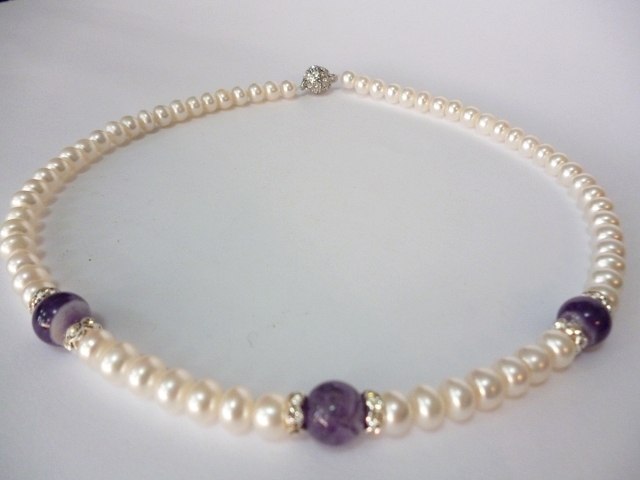 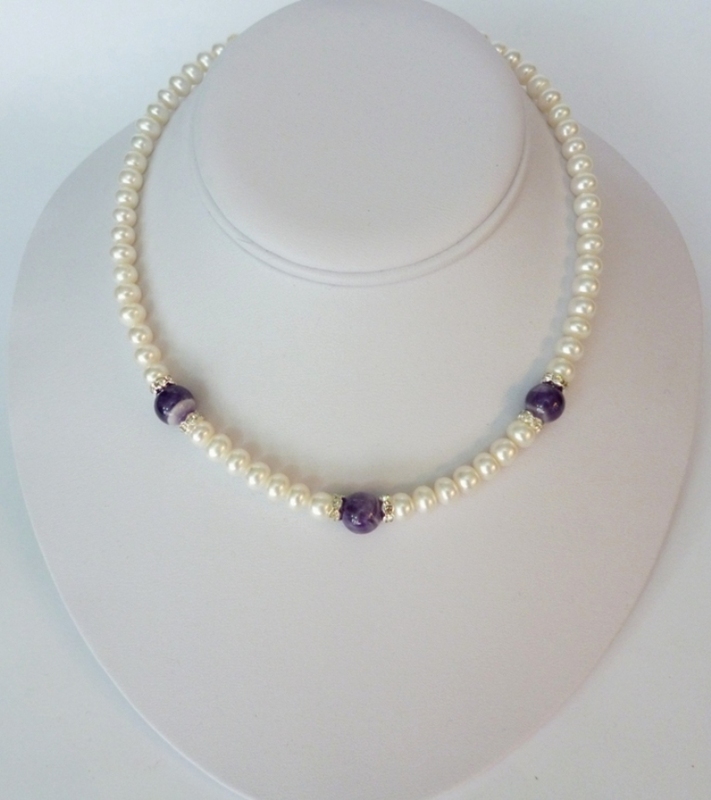 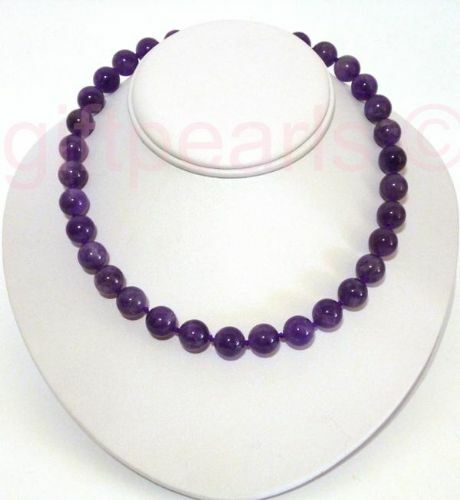 An 18 inch necklace of gleaming, lustrous white 6 -7mm bun-shaped pearls, featuring 3 selected polished amethysts. 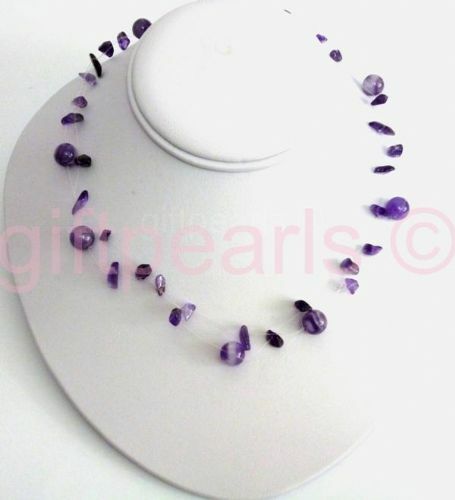 Tiny, sparkling Rhinestone crystals highlight the 10mm purple amethysts and are repeated in the magnetic silver tone clasp. 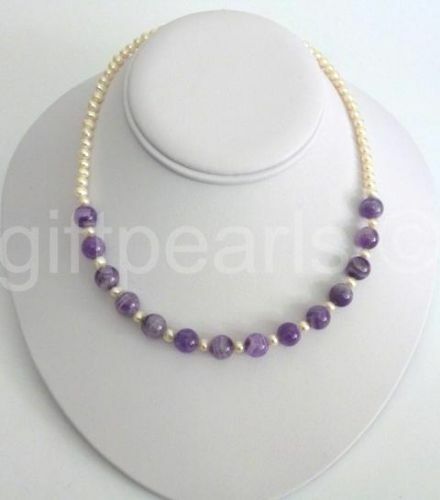 Amethyst necklace with golden, crystal-studded magnetic clasp. 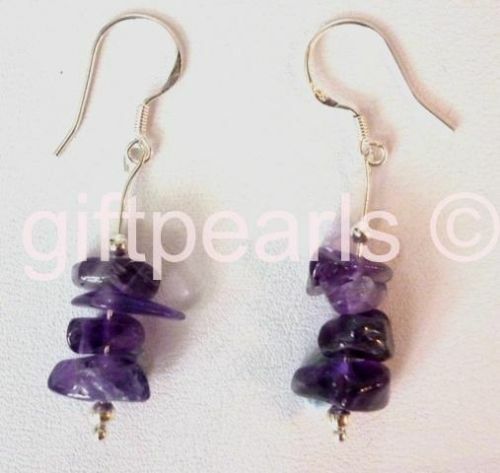 Amethyst drop ear-rings in the 'Wave' design.